NYSTRS PREP is designed to help NYSTRS members of all ages with careful financial and retirement planning. Members can tailor PREP to fit their needs by staying for the entire seminar (8:30 a.m. - 3:30 p.m.) or just those modules that help them the most: NYSTRS benefits; financial planning; Social Security; estate planning; retirement - a new beginning; and, the retirement process. Detailed information is available here. UUP: United University Professions (UUP) employees may enroll in one course tuition-free per term on a space available basis. If you are a UUP employee interested in taking a course at SUNY Delhi please download and complete the revised form here. CSEA: Offers authorized repayment of tuition to employees who successfully complete coursework at accredited schools, learn more here. SUNY: Available to state employees, the SUNY tuition support program provides reimbursement for part of an employee’s tuition cost. For UUP and CSEA this benefit it used when taking a second class during a semester, utilizing the union tuition benefit for the first class. The percentage of tuition that can be waived is determined by the applicant’s percentage of full-time employment and the available funding. The applicant must be enrolled in a participating school (all SUNY schools are participating). Learn more about this benefit. Fees: Under the SUNY and UUP tuition benefit program, all other fees and costs other than tuition are the responsibility of the employee. SUNY Delhi Fee Waiver: all campus employees including CADI, College Foundation and Child Care Center (DC-4) enrolled in courses at SUNY Delhi may request a waiver of the College’s mandatory Athletic Fee, Health Services Fee, Transportation Fee and Student Activity Fee in accordance with Delhi’s broad based fee policy. Access the web form here. NYSHIP Online has been designed and structured to provide you with more targeted information about your NYSHIP benefits. Use this flyer as a guide to navigate the site (pdf). To access NYSHIP Online, visit the New York State Department of Civil Service website. First, click on the Employees tab, then State Government Employees, select New York State Health Insurance Program and click Continue. The Internal Revenue Service has announced Cost Of Living Adjustments (pdf) (COLA) affecting dollar limitations for pension plans and other retirement-related items for the 2018 tax year. SUNY is also required to notify all employees on an annual basis of the availability to participate in a 403(b) tax-deferred savings plan. Please view SUNY’s Universal Availability Notice (pdf) which provides information and links to NYS Deferred Compensation and SUNY 403(b) Voluntary Saving Plans. It is recommended that new enrollees and current enrollees making changes to active retirement plans submit changes prior to December, so that deductions can be taken at the beginning of 2018. Call 866-271-0960 Monday to Friday between 8 a.m. and 10 p.m., and Saturdays between 9 a.m. and 6 p.m. for assistance. Now that the colder temperatures are here we are prompted to provide information to the college community regarding campus closings. Information on the status of campus operations is also available on www.delhi.edu. Members of the campus community who have signed up for RAVE will also directly receive a notification if classes are canceled or delayed. On the rare occasion when a faculty member may need to cancel an individual class, the faculty member will need to notify their Dean and school secretary by phone (or voicemail), and also email their Dean, school secretary, PD, and students. The New York State and CSEA Partnership for Education and Training is pleased to announce the 2017-2018 tuition benefits program. Eligible CSEA employees are eligible for two tuition vouchers or tuition reimbursements. Courses include: Information Technology, Welding, Nursing and Commercial Drivers License (CDL). A complete list of courses is available. Educational Advisement Services are available to CSEA represented employees by calling 518-486-7814 or 800-253-4332. For further information, visit NYS and CSEA Partnership, call 800-253-4332, or email advisors@nyscseapartnership.org. Adjunct Instructors: The college continuously welcomes applications for adjunct instructors in the Schools of Liberal Arts & Sciences; Business & Hospitality Management; Veterinary & Applied Sciences and Nursing (clinical instructors). When applying to a specific School, please note that candidates are contacted only when there is a need for additional instructors and if candidate qualifications and experience are aligned with course needs. The New York State/United University Professions Joint Labor-Management Committee (NYS/UUP JLMC) is pleased to announce the Empire Knowledgebank (EKB) eLearning Program for UUP-represented employees. Employees who apply to the EKB Program can access thousands of eLearning courses, eBooks and short course videos to enhance their professional and career development, for certification preparation and continuing education in a variety of areas. Licenses will be issued to applicants on a first-come, first-served basis. Employees seeking permission to use the EKB eLearning Program during normal business hours for job or career-related courses must request prior supervisor approval. UUP employees interested in using the EKB must complete an application (pdf) and submit it to the NYS/UUP JLMC. For more information please see EKB Program Guidelines (pdf), visit NYS/UUP JLMC on the web, OR contact a program representative directly at 518-486-4666 or at nysuuplmc@goer.ny.gov. Discounts are also available to all SUNY employees by visiting SUNY PerksCard/PerksConnect, Plum Benefits, My Better Benefits, SUNY Discount Program and our own Delhi Discounts (pdf). Open-competitive examinations are open to an individual who meets the minimum qualifications specified on an examination announcement; view the tentative exam schedule, the scheduled exams and sign up for email alerts when new examination announcements are issued. Promotion and Transition examinations are open to all qualified state employees; view the tentative exam schedule, the scheduled exams and sign up for email alerts when new examination announcements are issued. Visit the NYS Department of Civil Service for additional information. NYSTRS has developed pension and retirement education seminars for all TRS members. To make a reservation online, log into your MyNYSTRS account, or create one today at NYSRTS.org or call 800-348-7298 ext. 6180. Seminars often fill up quickly, so make your appointment early! Visit NYSTRS.org Pension & Retirement Education page for more info. In an effort to recognize the need of employees who require time away from work for personal reasons, employees must submit a request for a leave of absence with the understanding that not all requests are granted. To begin the process, complete the Request for Leave of Absence (pdf) found on the Human Resources Forms page. Types of leave under the Family Medical Leave Act (FMLA) are to care for your own serious illness (pdf), a family member’s serious health condition (pdf), a military family member’s injury/illness (pdf) or qualifying military exigencies (pdf). Please review NEW Employee Rights and Responsibilities under FMLA (pdf) and note that supporting documentation may be required. For more information, contact the Human Resources Office, 607-746-4495. Employees are allowed to take up to four hours of paid leave annually for physical exams and mammograms for the detection of breast cancer and prostate cancer without charge to leave credits. Absence beyond the four-hour cap must be charged to leave credits. Employees are entitled to a leave of absence for breast cancer screenings scheduled during the employees’ regular work hours. Employees who undergo screenings outside their regular work schedule do so on their own time. For example, employees are not granted compensatory time off for breast or prostate cancer screenings that occur on a pass day or a holiday. Employees must indicate Breast Cancer Screening or Prostate Cancer Screening on their time sheet when using this leave, and attach appropriate medical documentation to support the absence. Visit the U.S. Food & Drug Administration website for information about mammography facilities. Did you know that you can contribute up to the maximum in both your 403(b) SUNY Voluntary Tax Deferred Annuity and your New York State Deferred Compensation Plan account? Details are provided in the plan comparison chart (pdf). To learn more or enroll, check out 403(b) SUNY Tax Deferred Annuity (pdf), New York State Deferred Compensation Plan and the SUNY Voluntary Savings Plan websites. Whether you are planning on retiring soon or thinking ahead to the distant future, NYS Work-Life Services has a variety of resources to assist you: Self-Help Guide, Videos, Seminars and more information about Work Life Services. Additional resources include: Pension benefits calculator (for ERS & PFRS members) and Pension & Retirement Education Program (TRS members), SUNY planning tools and Asset checklist (pdf). NYS TRS has developed both in-person and video consultation sites where you can learn about NYS TRS benefits, review your benefit options at retirement and receive personalized benefits' estimates. Albany and video consolations are offered year round; in the video sessions you get to “meet” an expert using a webcam. 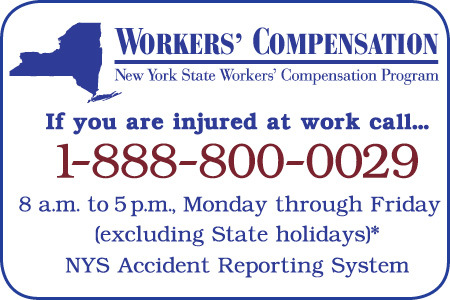 To view the video and in-person sites, visit New York State's Benefits Consultation page. To schedule a consultation, visit NYSTRS.org (using your NYS TRS account) OR call 800-348-7298 ext. 6100. Thinking about Retirement? New York State and Local Retirement System (NYSLRS) suggests the top five pre-retirement goals for its members. NYS Deferred Compensation Plan parented with Nationwide to develop the “On Your Side Interactive Retirement Planner." In less than ten minutes you can set a retirement goal and get suggestions to improve your retirement outlook. Visit My Interactive Retirement Planner to find out more by My Interactive Retirement Planner. After you retire, NYS starts calculating the amount of your final retirement benefit. This means you won't receive your full pension right away. For the first few months of your retirement, your first payments will be advance payments - but what are they? Visit New York Retirement News Advice on Advance Payments New York Retirement News Advice on Advance Payments to find out. The Social Security Administration has developed several online tools to help you plan for the future: Estimate Your Retirement Benefits & check out other Benefit Calculators. Please see revised versions of the accident & injury reporting forms below.